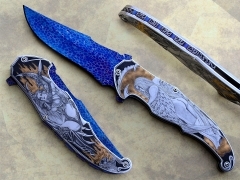 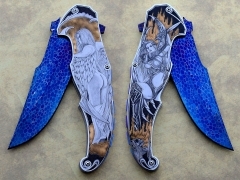 A very Cool Fantasy Themed engraved knife by Sergio Consoli. 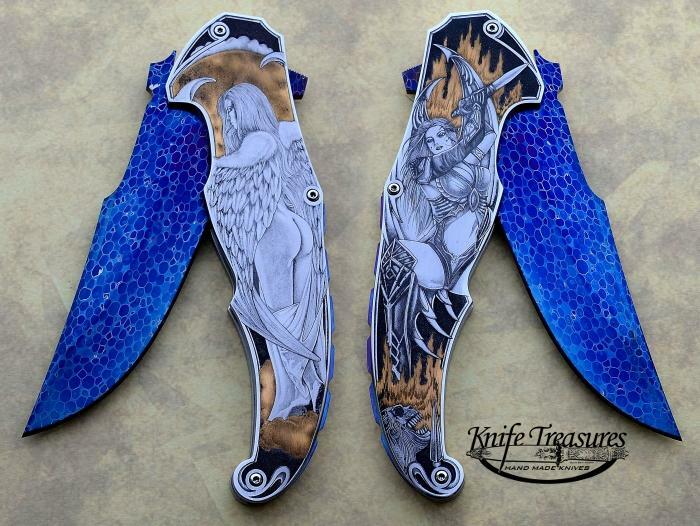 Sergio made this cool folder with Bertie Rietveld Dragon Skin Damascus and Giorgia Contessa did a Fantastic job with a Devil/Angel Fantasy Theme. A very nice collaboration.